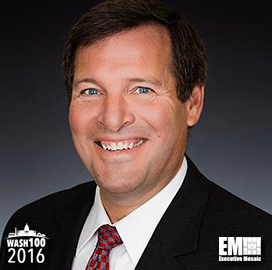 Executive Mosaic is proud to announce Anthony Robbins, vice president of Brocade‘s federal unit, as an inductee into the 2016 edition of the Wash100 — Executive Mosaic’s annual selection of influential leaders in the government contracting arena. Robbins has led the networking technology provider’s sales and partnerships in the federal civilian, defense and intelligence markets since he joined the company in August 2011. In a blog article published last year, Robbins highlighted the company’s white paper explaining how government organizations can save money through network modernization efforts. A second post he wrote describes his vision for what he called the “New Internet Protocol” and its role in the public sector. “The New IP enables agencies to redefine information technology acquisition by scaling network costs to meet changing needs, allowing for innovation to help the federal government keep up with modern digital demands,” he wrote. Prior to Brocade, Robbins previously served as senior VP of the North American public sector at Oracl. He also led the federal business groups at Silicon Graphics and at Sun Microsystems before the latter’s computer technology business was acquired by Oracle. Executive Mosaic congratulates Anthony Robbins and the Brocade team for their selection to receive this award.